The SureCall EZBoost 3G Signal Booster kit is specifically designed to boost signal inside a condo, apartment, dorm, or anywhere else that you're not able to mount an antenna outside of the building. 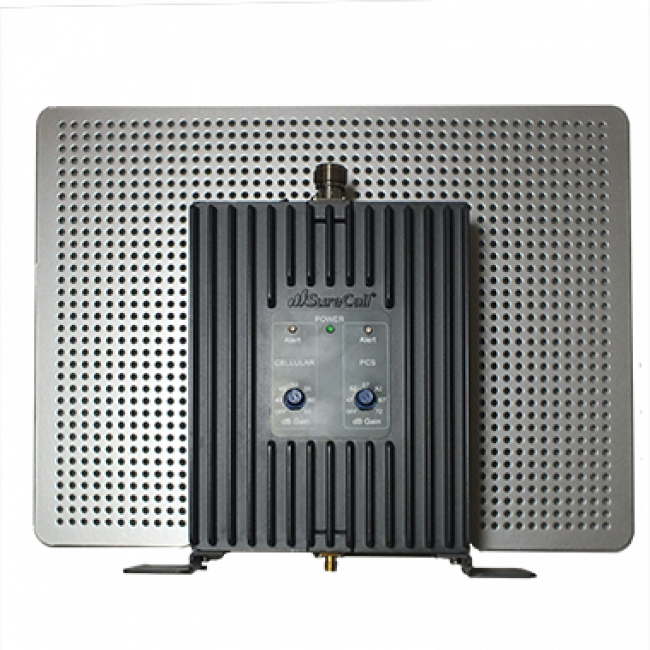 The unit features a combination amplifier and external antenna that is designed to sit in the window of the building where you're getting the best external signal. From the window unit, there is a cable that is run to an inside antenna, which broadcasts the boosted signal to the inside of the building. The SureCall EZBoost 3G's unique side shielding prevents oscillation by preventing boosted signal from reaching the external antenna facing the window. The SureCall EZBoost 3G will boost the 2G and 3G networks for all of the major carriers in North America, so you'll have much improved voice calls and 3G data. You are not able to mount an antenna outside of your home or office or you only need to cover a small room in your home or office. This kit is designed for apartments, condos, and offices, where mounting an antenna outside is not possible. With this kit, the "outside" antenna can mount to the inside of a window and cover a small area within a room with a boosted signal. The SureCall EZBoost 3G is designed to cover a small area inside your home or office. Depending on where you mount the outside antenna and the strength of the existing outside signal, it may be possible to get up to one medium size room of coverage from the EZBoost 3G. However, most installations will only cover a small area within a room with a boosted signal. Many carriers are moving everything quickly to their 4G LTE networks including voice calls. At some point in the near future, we'll start to see 4G-LTE only phones that will no longer be able to take advantage of 2G/3G boosters like this one. To ensure that the signal booster you get will work well for years to come, we generally recommend systems that support 4G LTE in addition to the 2G and 3G networks like the SureCall EZBoost 4G Signal Booster Kit. However, if you plan to keep your older phone for the foreseeable future and don't need the faster LTE data speeds, a 2G/3G booster like this one should work out just fine for you. If you need more coverage than you can get from a single SureCall EZBoost 3G system, take a look at the more powerful SureCall FlexPro Yagi Kit or SureCall FlexPro Omni Kit. 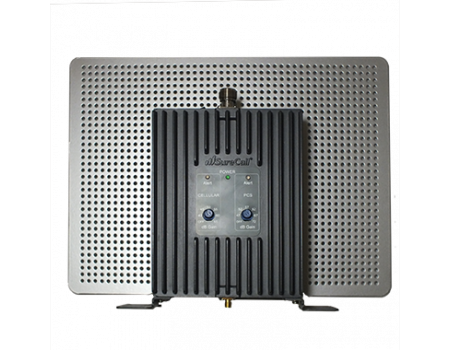 The SureCall EZBoost 3G Signal Booster Kit is designed for use in the US and Canada. It may work in other countries as well. The SureCall EZBoost 3G signal booster will not work in most European, Asian, and African countries because the frequencies used there are different from what are used in North America. If you would like to confirm if the SureCall EZBoost 3G will work for you, please first contact your carrier to find out exactly what frequencies are used in your area, then contact us and include those frequencies in your question. The SureCall EZBoost 3G signal booster kit installation is incredibly easy to do, and should only take you a a couple of minutes to setup. First, locate the window in your home or office that has the best initial signal. You can do this by disabling 4G LTE on your phone (if it supports 4G LTE) and then holding your phone to the window for a minute to see how many bars or dots you get. Once you've determined the window with the best signal, simply place the window unit in the window, externa antenna side out and dials facing towards the inside of the house. Connect the inside desktop antenna cable and then locate the inside desktop antenna on a desk or table facing towards the inside of the house. Finally, plug in the window unit and you should immediately have boosted signal.